Pleading guilty can result in future consequences. Fighting your Tuscaloosa, Alabama charge could keep points off your Alabama Driver's License. When points on your driver's license add up you could face problems such as license suspension, fines, court costs, increased insurance rates or not being able to obtain insurance, loss of your job, and problems getting a job due to your driving record. These problems are much more serious for those who have a commercial driver's license (CDL). Although hiring an attorney will cost money, it could save you a lot more than money down the road. The process to hire the attorneys at Kreps Law Firm, LLC is simple. We are able to get The process to hire the attorneys at Kreps Law Firm, LLC is easy. If you choose to hire our attorneys, we will be able to get the information we need by phone. Attorney fees will be paid by agreement, and can be paid by phone in most circumstances. We will immediately begin drafting and filing documents with the court. Your Tuscaloosa, Alabama traffic case will be a priority to our attorneys and staff at Kreps Law Firm until the charges are dismissed. Call Kreps TODAY (866) 348-2889 or CLICK HERE! We are passionate about what we do. One of the things that we find extremely important is keeping our clients informed about the status of their cases. We know that you will have many questions throughout the process of fighting your traffic charge, and we will be here to help you. Our phones are answered 24 hours a day, 7 days a week, 365 days a year. You will always be able to contact us. Let our passion and knowledge help you with your Tuscaloosa, Alabama traffic charge. 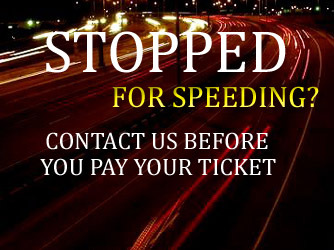 It is our main goal to get your Tuscaloosa, Alabama traffic charge dismissed. We approach each and every case with this in mind. Our attorneys and staff will use your goals as well as ours to come up with the appropriate strategy to fight your charge. Don't wait any longer, call Kreps at (866) 348-2889 or CLICK HERE TODAY!